DOC.STREAM Academy is a workshop, connecting two educational institutions - Nordland Art and Film School and TV School of Academy of Performing Arts in Prague (FAMU). The workshop connects students of film from Norway and the Czech Republic through discussions and film screenings and provides basis for the intercultural and interdisciplinary communication, networking, presentation of participants’ works and establishment of new contacts and connections. The workshop is open for selected participants only and is funded by EEA and Norway Grants. Martine is currently studying at Nordland College of Art and Film and mainly works with photography and text, occasionally combining the two. 2018 Teppet i bakgrunnen er ikke mitt / The Carpet In The Background Is Not Mine) – Dir. Alexander was born in 1987 and comes from Moss, Norway. He just finished his second bachelor degree in film/art, the latter studying film and the moving image at Nordland College of Art and Film in Lofoten, Norway, with a personal focus on film as experience. 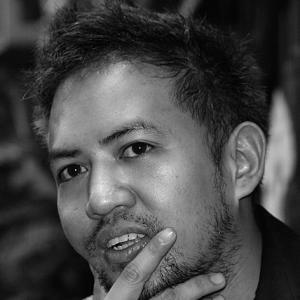 Franciska works within art, film and literature. She is currently living in Kabelvåg in North Norway where she is finishing her bachelor degree in moving image. She often works with themes such as power related to land owning, borders and how humans interfere with nature. Dimitri raduated from Sorbonne University in Paris in philosophy and film history. His research explores the connection between ecology and film and focuses on Chinese contemporary cinema and burlesque genre. After studying in Hong Kong (City University) and Prague (FAMU), he joined the PhD. program of La Fémis (SACRe - Sciences, Arts, Creation, Research) in Paris in September 2018. Born in 1992, freelancer working in the area of animation, documentary, illustration and graphic design. From October 2018 studying PhD. at UMPRUM - Studio of Film and TV Graphic. Mali‘s interest for film started with still photography and journalism. In 2015, she started the film school in Lofoten. She’s been working within documentary, but moved more between the genres with the years. She graduated from film school this spring and now she‘s looking forward to finding his way with the camera. His series of works has a connection to his own journey away from the Internet of surveillance. He is also working on a documentary about not fitting in your own religious family (Or more that everyone else thinks that they don‘t fit in). Kryštof started freelancing as a cameraman and editor during his studies of modern technologies at Masaryk University, faculty of IT. Later, he studied film editing at TBU in Zlín and spent a semester at Bezalel Academy of Arts in Israel, exploring experimental video. Kryštos is currently student of Documentary Film Department, FAMU. 2017 ON AIR by Radim Vaňous – Edit. 2017 Comediants by Radim Vaňous – Edit. 2018 Mezi Odpady: Zlín [in postproduction] – Dir. Thomas Østbye is a distinctive voice among Norwegian directors. He is known to combine artistic reflections on the documentary genre with contemporary political dilemmas. He made his mark with formally challenging documentaries like Imagining Emanuel, HUMAN, and In your dreams, which received dozens of art and film awards, and were screened at venues such as Museum of Modern Art NY. 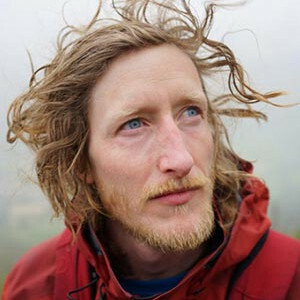 Østbye also makes art installations, photography, interactive film, and runs the production company PlymSerafin.